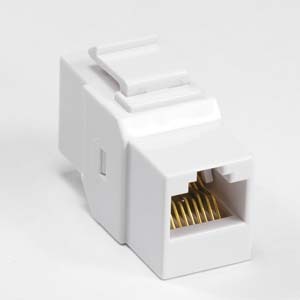 If you need to link several networking cables together, or extending existing cable runs, In-line Cat.5E Coupler can help you make the right connection. The in-line coupler provides a female-to-female feed-through connection for easy cable hook-up. The 1-1 wiring configuration is compatible with both T568A and T568B wiring schemes.